This is a guest post written by Anderson Hawthorne, a biomedical engineer and contributor at x ray tech, a radiology technology resource site. Radiology is an important branch of diagnostic health care because it has the power to catch illnesses before they become a problem, plain and simple. As a patient, you might get an x-ray at the dentist's office or have a CT scan to help diagnose the source of a migraine. Radiological technology helps guide doctors during intense surgeries and is pivotal to the early detection of many different ailments, including potentially cancerous cell masses. Radiologists of all kinds are usually the first people to know about a given patient's potential problems, so they hold a heavy responsibility for documenting any and all abnormalities, and for reporting those abnormalities to the right physicians. Radiological equipment itself is purported to cause cancer, since it uses low doses of radiation that can damage healthy cells. There have been many instances of this occurring over time, but it is still heavily disputed. With so much that can go wrong during radiology procedures, they tend to be a hotbed for malpractice claims (whether inadvertent or otherwise). If you undergo frequent radiological treatment, it is important for you to understand where problems can arise that might implicate your rights as a patient. Aside from the human error involved, medical imaging is a risky procedural business. In 2000 Sue Apsey went to her radiologist after a cyst removal surgery. She claimed that the radiologists had failed to detect (or report) a bowel leak that had occurred as a result of this surgery. The mistake was made worse when the barium used for Aspey's medical imaging procedures leaked into her intestines, causing a slew of infections that required numerous additional surgeries, and even skin grafting. She was awarded $3 million. Radiology is notorious for its use of x-rays, which, even in low doses, have the potential to be harmful to healthy cells. Fetal cells are especially susceptible to radiological damage, so it's important to never undergo these procedures if you even think you might be pregnant. Two cases clearly involving unaware mothers highlight the potential for harm here. Of course, while exposure radiation is never outrightly recommended by anyone, in low doses it is believed to be harmless to a healthy person. If you think you might be pregnant, always err on the side of caution. Errors whether large or small affect your longevity, and health care providers are paid a lot of money to make sure they do their job wholly and as painstakingly as possible. Radiologists are trained extensively in how to interpret radiographs of all kinds, but nobody is perfect. Recently a plaintiff in Pennsylvania held a hospital radiologist and a few other providers responsible for a man's death, for failure to note intra-abdominal bleeding. The jury found in favor of the defendants, since the hospital had radiographic evidence that disputed the plaintiff's case. If you are feeling pain that is contrary to your radiographic test results, make sure you take the effort to have your doctor thoroughly explain those results so that you can be absolutely certain you're getting the full details from your physician. And for radiologists -- always take caution and triple-check your results. 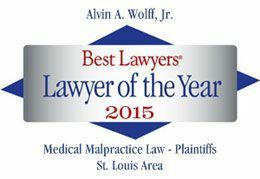 Malpractice claims in this area are plentiful, so evidentiary support is key. In the past, radiologists typically communicated their findings to a referring physician, who then wrote a report to the person's caregiver. But with so many instances of inadequacy in reporting and lost information, this practice is rapidly changing. All around the country legislators are deliberating on whether or not radiologists should report their findings directly to the physician in charge or to the patients themselves -- and with good reason. In 2006, a man in Fairfax, Virginia perforated his esophagus while eating a steak dinner. The CT scan performed prior to this man's treatment indicated this exact injury, but the radiology notes that were forwarded to the operating physician told a different story. This man later died of his injury and his family successfully sued the radiologists for misdiagnosis. Radiology has received a lot of attention recently and the practice has begun to rigorously clean its act. One of the most popular solutions to many of the above problems is direct interaction between patients and radiologic technicians to make absolutely certain that all of the results are understood as thoroughly as possible. Some radiologists still claim that many of the suits filed against the profession as a whole are unfounded and that patients place unrealistic demands on the results, but always be cautious. This is your life, and if you are involved in radiological therapy of any kind, know that you have the right --and the duty-- to speak out if you think something isn't going how it should.